Whether you have been using language interpreters for informal talks or formal business transactions, you can now directly book an interpreter on location. With our new booking system you can contact your interpreter directly and schedule a meeting, where our system provides all the tools required to book an interpreter successfully. No matter what type of business or organization you run, there may be a need to quickly arrange an interpreter. We can help you choose and book an interpreter in any language combination that you need. Our fully-automated booking system works in conjunction with Google Maps so you can easily locate an interpreter and contact them directly. We all know that getting an interpreter through an agency can be very time-consuming. Our system will help when you to acquire an interpreter when you need them most even when it’s at the last minute or for an emergency meeting. 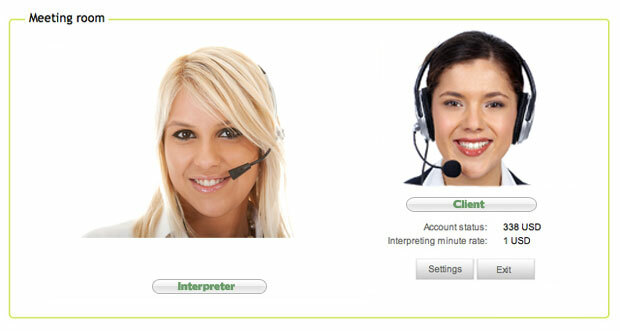 All you need to do is log in into your online account and search for an interpreter in your area. You can then request a quote and our system will search and send you the list of those interpreters who are available in your area. Our well thought-out system even allows for extra costs, if any, such as travel expenses, hotels and so on, which you may need to pay. You can also check the calendar option for any interpreter(s) of your choice or if you have a preferred interpreter request them specifically. You can then send an invite asking them for a quote for your next assignment. Currently we have more than 3,500 interpreters registered in our system and we are still growing. The system is not restricted for any country and can be used worldwide. And that’s not all, if at any time you urgently require an interpreter, you can now use our video interpreting services. With our powerful video interpreting services you can instantly have an interpreter directly through the internet with excellent quality video and voice. The service will be charged per minute. All you have to do is select an option that best suits your requirements and simply schedule a meeting.